Kiara was named after the Lion Cub in ‘The Lion King’ and like that character has had to find her courage. ‘My journey has been a bit rough. 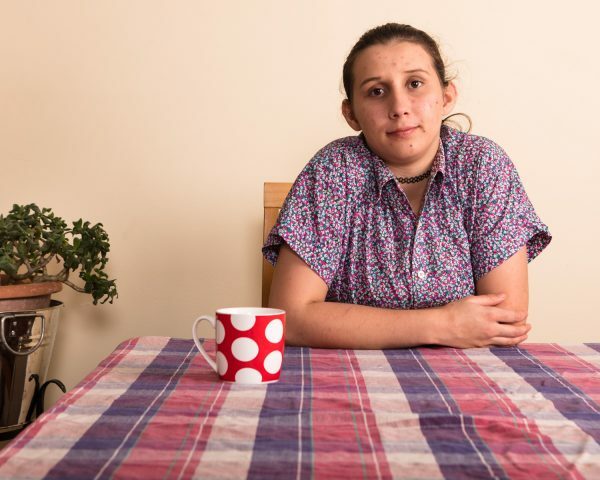 There’s been on-and-off homelessness since I was 15. BYS has helped a lot with that. I was homeless, then I’d get into youth shelters with BYS, and then something would happen, and I’d go back on the streets, and then back to another youth shelter. When I was on the streets I picked up a drug habit and now I’ve been clean for over 1 and a half years … I was scared on the streets definitely, being a female, 15 years old, in the city and Fortitude Valley – on the weekends especially. I’ve had a lot of bad experiences on the street when I was younger. [Now] I feel a lot better in myself, having a roof over my head. Just having a safe place to go. It means a lot. BYS has helped me. I use their doctor service, and they’ve helped me with drug and alcohol [counselling], domestic violence, housing, food and blankets. I’ve learnt new skills like basic everyday living skills. Budgeting, shopping, getting services. I’ve studied hospitality, bar-tending and front-of-house and back-of-house. [When I was here in Sandgate] I helped paint the house, weeded the garden out the back and the front, I learned to cook cheap, decent, delicious meals. We have a youth worker from Bali and he teaches us his way of cooking food … like an omelette thing with vegetables and his “famous butter chicken”. I made friends when I was here. Kiara includes the Gubbi Gubbi tribe (in the Caboolture area) as part of her heritage, and is now exploring her interest in Indigenous dot painting. She has recently moved into her own place. I was scared on the streets definitely, being a female, 15 years old, in the city and Fortitude Valley – on the weekends especially. I’ve had a lot of bad experiences on the street when I was younger.